Type: MP5 player. Included: 1 x Car Stereo MP5. OS: Android 7.1. Mirror link: support (dual-way connection for Android, single-way connection for iOS). Build-in Bluetooth, support hands-free calls, phone book, A2DP to steaming the phone music to the radio. Battery: Built-in lithium battery. FM: Support. Colour: Black. - Pre-installed latest 2018 map, resistive screen, smooth touch;. Connection: USB 2.0. Headphone port audio output. TF card slot: headphone jack. OS: Android 4.4.2. So you can surf the internet on it without a heavy & stuff computer. 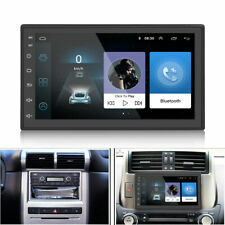 You would feel comfortable when you watch it, touch screen design simply to operation and it works very well. Product solution: MT8127. Included: 1 X Car MP5 Player. Built-in USB 1 interface, support MP3 music, movies, picture playback, etc. When installing, be careful not to connect the line incorrectly, so as not to affect normal use. Garmin Oregon 600. · Type: LCD Display. LCD Display. Add to Favourite. · High quality ,Grade A. Ruturn Policy. Compatible with. Video encoding: support H.264 format 1080P. Built-in AV IN: Yes. Adapter: AC 100 ~ 240V, DC 5V/ 2A MINI USB socket. Night vision shooting distance: 0.6m or more. FM receiving: YES. Built-in FM transmitter: KT0806 76MHz~ 108MHz. Night vision shooting distance: 0.6m or more. FM receiving: YES. Built-in FM transmitter: KT0806 76MHz~ 108MHz. Warranty Service. If item is defective after 3 months, you can still send it back to us. 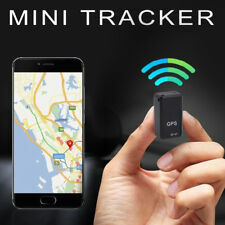 GPS Global Positioning System Brand New Old Style Condition is New. Shipped with USPS Priority Mail. Screen Type: Digital Capacitive Touchscreen. Unit Size: 2 DIN. - WiFi: Built-in WiFi Modem, support 802.11b/g/n. Standby Current:<10MA. Operate System:Android 8.1. - Operation System: Android 8.1. - Explorer: Opera, UCWeb, SkyFile, Dolphin and more explorer for your selection. If not sure. Warranty only apply on the stated warranty period products. Pre-installed the latest 2019 map, capacitive screen, and touch more smoothly;. Connection: USB 2.0. Photo format supports JPG, GIF, BMP, PNG formats. 1 Car bracket. Gross weight: 527g. Size: 175 115 13mm/6.89 4.53 0.51". Two-way conversation: 4G calling function, two-way high-fidelity voice call. Electronic fence: Set the scope of the security alarm, alarm in case of exceeding the scope, not afraid to lose. 1 Piece User Manual. Do you like to listening to music while you drive?. O/S: Android 4.4.2. Dual lens: support dual lens recording simultaneously. With the ADAS smart system, your driving will be safer and with the magnetic, it is easy to install and remove.